1. What is the mean by “Premium”? The PCB Service can meet >95% customer’s requirements, but for some customers, especially makers who have experience on hardware developing and projects that need many special requirements. They need more reliable& advanced PCB service, such as multiple layers more than 4, blind holes, FPC. That’s why we Elecrow provides this “Premium PCB Service”. 2. What’s the main upgrading compared to the common PCB services? More Reliable Quality: Sharper silk screen; 100% E-test + 100% visual check. More color for PCB(Include Matte Black, Matte green and purple); Minimum PCB track /Space up to 3 mil. The Multilayer PCB can be used on electric services, such as cell phone transmission, cell phone repeaters, computer motherboard, data storage and GPS technology. In order to reduce signal loss, use a multi-layer shield signal, such as the base station, the communication class. Besides, it also can be used on medical equipment: X-ray equipment, heart monitors and so on. Elecrow is devoted to provide Aluminum substrate, if you are looking for an Aluminum substrate, our engineer can meet your requirement. Aluminum substrate is a kind of copper-clad circuit board based on metal substrate, with good thermal conductivity. A thin layer of thermally conductive but electrically insulating dielectric is laminated between a metal base and a copper foil. The copper foil is etched into the desired circuit pattern and the metal base draws heat away from this circuit through the thin dielectric. Audio equipment: input, output amplifier, balanced amplifier, audio amplifier, preamplifier, power amplifier, etc. Power equipment, switching regulator, DC/AC converter, SW regulator, etc. Communication electronic equipment: high frequency increaser, filtering appliances, transmitting circuit. Office automation equipment, motor drives, etc. Automobile electronic regulator, ignition, power controller, etc. Computer: CPU, a diskette drive, power supply units, etc. Power module, inverter, solid relay, rectifier bridge, etc. The single-sided aluminum pcb can be used with surface mount and chip & wire components. This structure need more technology and experience on laminating of two layers together with metal core. Elecrow is devoted to provide affordable flex PCB. If you are looking for a flexible PCB or Rigid-flex PCB supplier, our engineers are here to help you solve your technician questions and meet your requirement. We can assist you to prototype sample or small batch soft circuit boards. Our Flex PCB group is able to provide you with flexible PCB as well as Rigid-flex PCB with a variety of technologies, from single-sided flex PCB to complex multilayer flexible PCB and Rigid- flex PCB with Impedance Control PCB. 1. Excellent Flexibility: Stable and repeating flexibility is helpful for 3-D electronic products assembly. 2. Lower Toughness: Lower toughness is benefit for standing more thermal stress and reducing the joint cracking risk. 3. 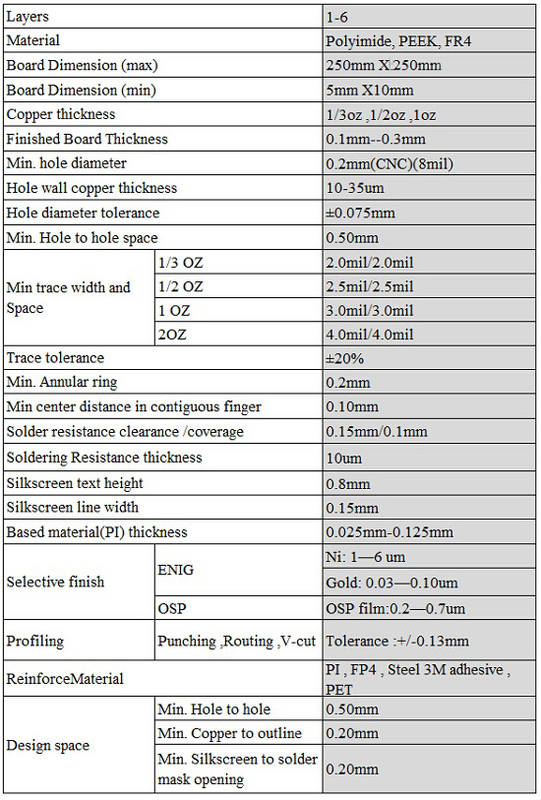 Thin dielectric: Thin dielectric could have better flexibility and better heat transfer, those will be benefit for structure design and thermal management. 4. Great high temperature performance: PI material could be operated under high temperature environment then can fit for high temperature applications. 5. Good manufacturability: Some flexible material can use laser or chemical etch create pads or window then could be used in double access applications. 6. Multi-plane connection and size shrinking: Flexible boards could be bended and binding with rigid-flex technology then can reduce connector and terminator using that can reduce weight. 7. High space utilization: Flexible boards can replace many connecting parts and join multi plane boards then by these strength can saving space and make design easier. 3. How to begin my “Premium PCB” Service? 1. Download the Premium PCB Specifications and input your PCB demands, if you do not know how to selector for some of the parameter, just leave it as it is. 2. Sent this file and your gerber files to service@elecrow.com. For the gerber files, please refer to here. 3. We Elecrow will quote it for you in 1~3 working days. If you think it OK, after your paying, we will make your PCB into production. The fabrication time will be 3~12 days(excluding Chinese Festival). 4. Note that the 300$ free shipping policy do not apply to the Premium PCB service.